A musical performance is to use recordings of seagulls to try and persuade audiences to see the beauty in the much-maligned birds. Queen Canute will premiere at the Contemporary Music Festival 2019, which is taking place at the University of Plymouth from 22 – 24 February 2019. The piece has been created by Nuria Bonet Filella, an Associate Lecturer and researcher in the University’s Interdisciplinary Centre for Computer Music Research (ICCMR). The composer hopes it will help those who hear it look beyond the birds’ reputation for scavenging behaviour and harsh calls, showing off the beauty of seagull song and the ways it can change over the course of a year. “Living in a coastal city, seagulls are all around us and a part of our way of life. But what if you took a step back and listened for changes during the day, or to see if their song altered at different times of the year? That is what I hope my piece will do, as well as reminding people that seagulls are in fact beautiful birds and a species we should celebrate more often. “It’s great to hear of a work hoping to reveal the beauty of these often much maligned birds. 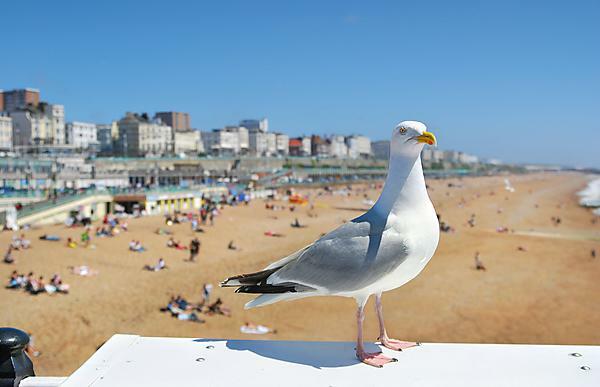 Gulls do sometimes come into conflict with people in seaside towns, but many councils are now doing good work to try and reduce these conflicts in a way that doesn’t impact on the birds. Simple measures such as reducing street waste and encouraging people not to feed gulls are good approaches.